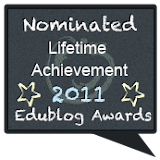 A GeekyMomma's Blog: Nibipedia in Schools; Friend or Foe? Nibipedia in Schools; Friend or Foe? I've received a bunch of emails recently from companies who want me to check out their products and promote them either in my blog or on PalmBreezeCAFE. Now, either that's a nice nod to our show or perhaps they've got some uburgeeks writing a program that blasts their emails to every EdTech blogger. Besides being part of my job, I'm always interested in new and exciting things popping up in the world of Web 2.0. So, it is kinda nice for some of them to find me for a change! 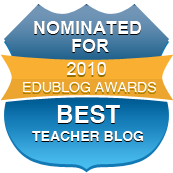 This past week, I received two very interesting emails with requests and links to their sites that I think would offer great value to teachers. (I'll post about the 2nd one later on.) The first one is from the folks at Nibipedia. Hope I have the right person. 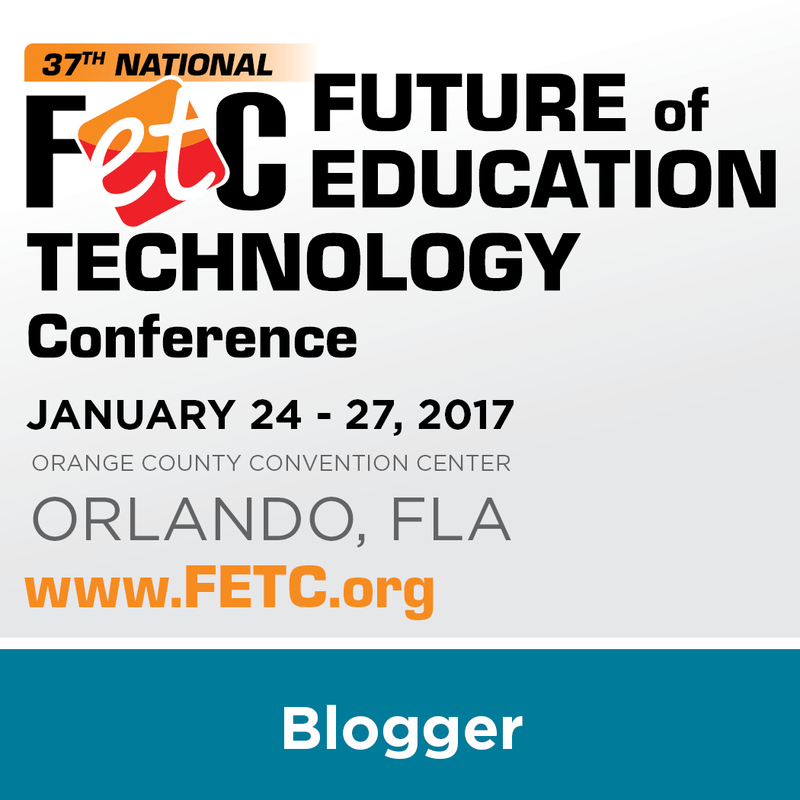 Are you the educational tech blogger? There are not many videos up there yet, but I decided to check out Seth Godin's Sliced Bread and Other Marketing Delights. It took only a few moments for me to get acclimated as it all pretty much makes sense right away. I clicked to play the video and I saw that as the video progressed, and as Seth Godin spoke, the images beneath the video (called "nibs") advanced to the left. When Seth spoke about "sliced bread," an image of sliced bread appeared as a "nib." If I clicked on it, the video continued with no interruption, but to the right was a Wikipedia article on bread. This continued throughout the entire video. Being a "wiki," I could add a "nib" as well. I simply advance to the part of the video where I want my nib to appear, click "Add a Nib," and enter a keyword into the search field. This field searches Wikipedia. I then just have to click on the result and it appears in the timeline for others to see and to click on when they are viewing the video as well. There's also an option to search Amazon and leave a Nib that links there. So, if Seth refers to a book, the image & link to the book appear AS HE MENTIONS IT! I love how the video is never interrupted unless the user clicks the controls. The other nice feature is the "Other videos that link to this article." I see a great future for not just aligning great content but truly connecting it all in meaningful ways. I can see students creating new digital stories, knowing in advance that what they say in their videos will impact their Nibs. What will this do for fluency, vocabulary, writing, listening, researching? With this, we're another step closer to being able to use the great academic content that's in some of those "evil" sites such as YouTube and WikiPedia. This may even bring us inches closer to influencing decision-makers to take another peek. 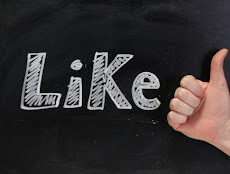 At some point, someone has got to notice that there are people, companies and organizations spending lots of money and time trying to harness the educational power of these social media sites; so there must be some value! Wikipedia and Amazon vet their own content but others can flag the content. For inappropriate words that make it through? They are planning to ask beta testers for a list of offending words for batch removal. With the most offensive words gone, the rest can be flagged for later removal. 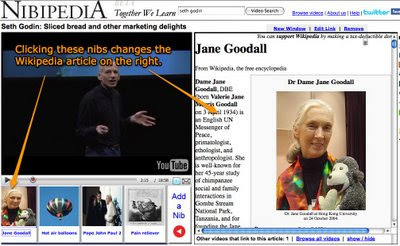 For educators to contribute (after registering an account), you simply create a playlist in YouTube (which will also be your Nibipedia profile and ID) and all videos you add to that playlist in YouTube will automatically feed into Nibipedia. It looks like a lot of thought went into this but I'm not sure how the registration process will proceed or how the folks at Nibipedia will know who is an educator. What will stop a student from registering a teacher account and throwing non-academic YouTube videos into a playlist that feeds into Nibipedia? I also wonder about the possibility of having sub-domains so that teachers can provide limited access for their students to view selected videos/nibs and add their own "nibs. Additionally, in my opinion, the fight to allow Wikipedia in schools has a light at the end of the tunnel where YouTube's tunnel's light can not be seen with the naked eye. Allowing a feed to come from an alternate source, perhaps an internal server, would be helpful. I know my suggestions sound terribly restrictive and I can imagine that many social networking advocates are thinking that I'm choking the "walled garden" even more. If you know me, read my blog, follow me on Twitter or watch my segments, you KNOW that I'm all for putting it all out there, BUT the reality is, if we don't start somewhere, we are going nowhere. And I do like where this is going! What are your thoughts on this? There are so many amazing tools being created, many of which have interesting implications for students to create meaning from primary sources. I typically have two thoughts whenever I hear about a new one like you've described here: 1) the explosion of technologies and applications is so huge that I can't hope to keep up; and 2) anything like this which is completely open and unregulated will ultimately be blocked in schools for the very reason that they are open and unregulated. We need an outside-the-box solution. I just wish I had one. It's nice to be part of the conversation though, and that's where I think the future is. I'm with Gerald about the too-many-tools perception, but I thank Twitter and Plurk for helping me get over the frustration of not being able to keep up. I think the point is to do the best you can and feel okay with learning something everytime (I've used this analogy elsewhere) you dip your toe into the river of information. I love the culture of innovation that brings us tools like Nibipedia, and I understand--though disdain--the culture of top-down control that school administrators (tech and other) bring to the table. Part of the issue, of course, from the tech admin standpoint is bandwidth. Until there's some kind of universal solution for keeping the pipes open, admins will always come back to bandwidth: Witness the current twittersphere flurry of dialog about the upcoming impact of streaming media during the inauguration. So, yeah, Leelady, we do the best you can. I for one greatly appreciate your best, which you so consistently and thoughtfully share. As one of the co-creators of Nibipedia I first want to say, "thank you" for such a glowing article. All of the videos added will be by educators. (admittedly, that could be a reference librarian) All of the Wikipedia articles will be filtered by the community with potentially offensive materials only available by request and not available in the public search. We actually embrace the "walled garden" approach and soon, we will let individual educators create their own for use in their classes. As for "too many tools". The really good ones will stand out for ease of use, cost and usability. We wanted to do something to help leverage teachers and students. I really appreciate Gerald and Scott's feedback because it reinforces a lot of what we've been thinking. We really welcome all of your feedback. Thank you for taking the time to share what's on your mind. Excellent - I really love the info you consistently post. Why don't you add the New Blogger "Follow This Blog" Widget? I would love to add you to the blogs I read! I agree that there are so many tools but like Troy states in his comment, the best will rise to the top. I'm not sure I agree with your comment about this being completely unregulated. It looks like the folks at Nibipedia are taking accountability into account. We'll have to see how it plays out as they roll out more developments. Thank you for commenting. I've also found Twitter, Plurk, FB and Ning sites invaluable for helping me sort through all the new sites popping up on a daily basis. It's nice to have like-minded peers to help vet some of these apps. I appreciate your comments. Thanks for making initial contact with me and asking me to check out Nibipedia. I also appreciate you stopping by here to add your thoughts. I'm looking forward to your added features. I didn't not even know about that widget. After some searching I found it and added it to my sidebar. Thanks for the tip and thanks for visiting my blog. I was sad to see that nibipedia.com looks like it was abandoned. Maybe someone can pick up where this left off. Also, we released a short video that explains our original idea that we weren't able to create at the time, it is possible now. http://youtu.be/kKM3dZOaumw We're interested in getting feedback from educators, homeschoolers and students about the proposed app if you can share, it would be appreciated.